This week at Take a Word the challenge theme is BEAUTY. This is my attempt. I photographed the kids last year at a wedding party. 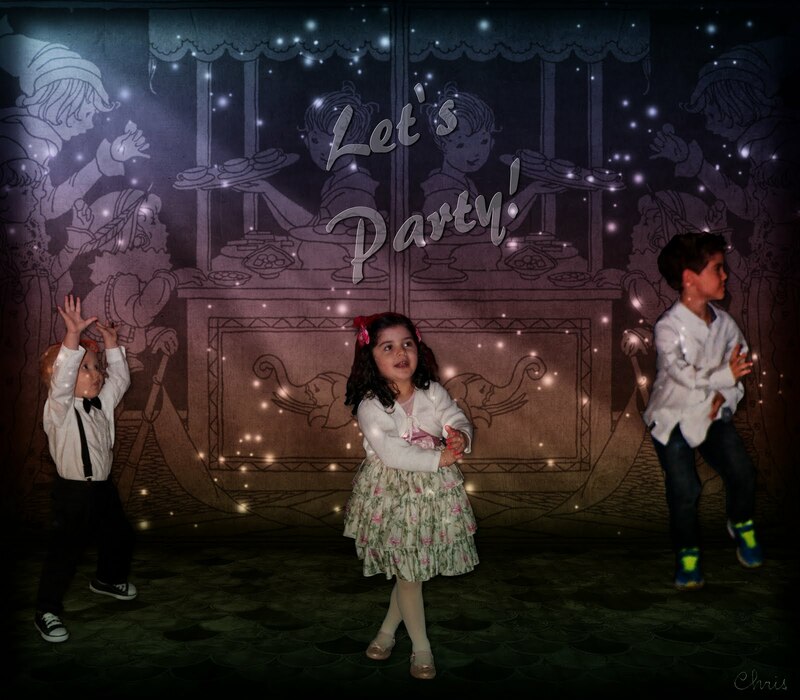 Before the adults took over the dance floor, children enjoyed it a lot! Background/overlay: Pareeerica; illustration at the background: Dover. A very beautiful image with sweet kids there are enjoying a dance. this is the Beauty in its best sense! Absolutely BEAUTY and joy. Well done, Christine! These are such beautiful, happy children. What fun! There is nothing more beautiful then a happy child...this is wonderful. A beautiful and happy scene.